PHARAOH, KHEPERA & KPA ORIGIN, AND THE MEANING OF THEIR NAMES. PHARAOH, PHARAON, PAROH, PTAH & KHEPERA ; THEIR ATTRIBUTION & MANIFESTATION AS "KPA". 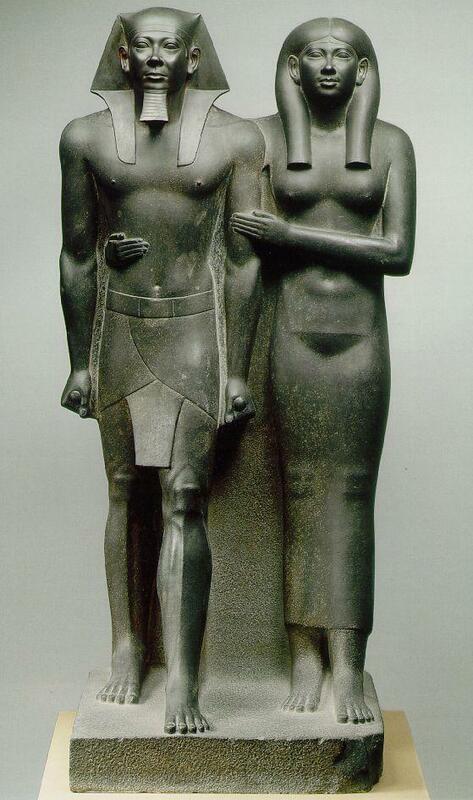 The formed words "KHEPERA & PTAH" are Archeologist's phonetic spellings of the Nubian God-King "Kpa". 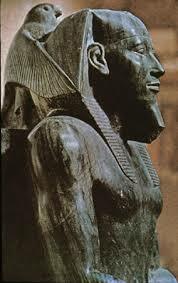 The formed word "PHARAOH" is a corrupted Greek phonetic spelling of the Nubian "God-King's" named " Kpa ". 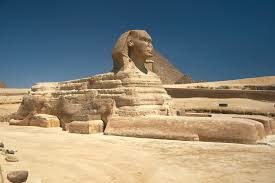 The formed word "PHARAON" is a corrupted Latin phonetic spelling of the Nubian "God-King's" named " Kpa ". The formed word "PAROH" is a corrupted Hebrew phonetic spelling of the Nubian "God-King's" named " Kpa ". 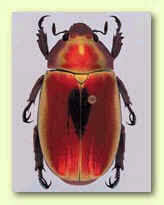 THE SCARAB: ( SCARABAEUS SACER ).OF ( COPROPHAGI ). "KOKLO-KPA-TE", The Dung Beetle is Regarded as Sacred by the Ancient NUBIANS. The characteristics of the Beetle became compatible to “KPA” (KHEPERA’S) world creation; - The male Beetle and its rolling of dung to approximately two-inches diameter size for larvae, to be roll into a hole that the female Beetle prepared and (she) deposit one egg in that hole as; “THE ONLY BEGOTTEN” and to be fed with the larvae in the dung when the egg is hatched. 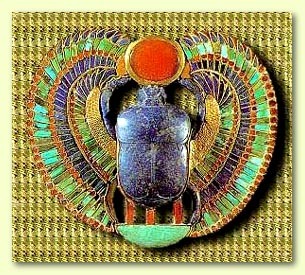 This characteristic earned the Beetle an honor with the Nubians as the symbol of (KPA) the Greek (KHEPERA). The Beetle; - as “KPA” (KHEPERA) the creator and organizer of Life. The Dung ; - as "HU-NU" (THE SHINING WATERS = "SUN") the source of all life. (Nutem). And the OSA's resurrections to the living and the dead. The name "Kpa" was used as the title to what is now known as "God" and not "god", by the pre-Egyptians (the Nubian) as a description to the Universal Creator of the World, and was also used by Pharaohs as an Attribution to "Kpa". "Kpa" along with other words and names of the Ancient Nubian were spelled with consonants, during earlier and resent research works being done on the pre-Egyptians (the Nubian) civilization. Kpa is an attribution Divinity name preserved as ; KpaKpa, Kpa-n Du, Kpa-kpo, Kpa-De. The name "Kpa" is one of the names which was innocently manipulated during Nubian history research works to justify the unknown. The manipulations of the Nubian histories damaged most of the African Nations focuses in their political, social, cultural, spiritual, economical and in their general lives. "KPA" is also a description name derived from one of the Ancient/Pre-Egyptian Nubian languages of "kwa". "Kwa" is a language used and presently being use in most African countries, which mostly the sub-Sahara Nubians. The sub-Sahara Africans attributes to the pre-Egyptian Divinity "Kwa", the offspring of the Divinity "NU", now phonetically Nubian. ( The divinity "NU" is a counter part divinity of the divinities "TE", "LA" and "KPA") who trade names as counter parts to each other's name freely. The offspring's of the Divinities "Kwa" and "NU" of the now known as Africans (Nubians) are spiritually indoctrinated in attribution to the Ancestral Divinity name "Kwa". To every born Nubian now (African), born on any of the 7-day's of the week without a choice carries their name's in attribution to the Divinity "Kwa", optionally, one may chose not to be called with any of the 7-day's name Divinity "Kwa". The GaDagmes, as deeply embedded in their pre-Egyptian's ancestral doctrines could not do without using the Divinity name "Kwa" as an adjective as well as a Divinity Title attached to both their male and female born as: Kwa-Ley, Kwa-Kor, Kwa-Kai, Kwa-Tshoo, also Kwa-Te-Kor, (Kwateoko), Kwa-Te-Kai, Kwa-Te-Tshoo, also as Kwa-Ade, connotation of ( KwaAde ) = "Divinity of Creation". The attributions to the Divinity name "Kwa" is mostly spread among the sub-Sahara pre-Egyptian descendants, such as the KwaWu (Kwa-Wu), A-Kwa-Mu (AKwaMu). The Divinity Kwa is a spiritual-soul mate to the Divinities TE (TEM), LA (RA), KPA (KHEPERA), their soul mate unification was due to the day born name Wednesday of the Divinity Kpa. BELOW: SPIRITUAL-SOUL DAY BORN NAMES, AFFILIATIONS & MEANING. AKUA, AKU or EKUA ( FEMALE COUNTER PART "LA" & "KPA" DIVINITIES. KWAFI, KOFI ( KUFI ) PRINCE/KING FOR THE DIVINITIES "LA" & "KPA"
KWAME or KWAMINA ( KU-AMEN ). "DIVINITY- KING OF THE BODY OF AMEN & AMON"
KWASHIE, AKWESI, KU-E-SI, or KWESI ( THE SPIRIT "SA" OF THE BODY "OSA" (OSIRIS)/"MENSA" FOR THE LIVING AND THE DEAD) ATTRIBUTED TO LA & KPA. KWADZO, KODZO, or KOJO ( SON OF OSA/MENSA, DIVINITY & PRINCE, THE BODY OF "HERU","ADZEI", "HORUS", "ADZA" & "DZE"
ADZUA, ADJOA or EDZUA, ( PRINCESS AND COUNTER PART OF THE DIVINITY "ADZEI","ADZA","DZA","HERU","HORUS" ). KWABLA, KWABALA or KWABENA "KU-ABA-LA" ( THE SUN "LA" (RA), THE HEART "BA" & THE BODY "KU" DIVINITY. ABLA, ABA-LA, ARABA, ABENA or ABINA ( PRINCESS & THE COUNTER PART OF THE DIVINITY "LA" (RA), "BA" & "KU". By nature the life and the cultural structure of the Nubian is embedded in their authentic language words, made up of their ancestral divinity names, which when spoken of, becomes a swearing communication among them. Philosophically, the Nubian language is a "Judgment-Language". The authentic meaning and pronunciation of the Divine name "Kpa" has been an illusion to others, not only to foreigners but now known as Africans who fell deep under colonization conversions of their names, foreign languages and beliefs, except few Ancient Nubian (African) broken nations who were able to keep most of their Nubian Ancestral language within their spiritual culture, like the Ga-Dangmes of the present Ghana and other non-foreign polluted Ancient Sacred Spiritual Cultured Communities all over Africa. In my ongoing research, the word name "Kpa", when used as a sentence in one of the legacy languages of the Ga-Dangmes Ada-Asafo language, it means "re-produce", "passionate union ", "marriage", "to produce with", "unification", just as the Divinity "Kpa" had union with his shadow and begot offspring (produced) to more generation divinities as the father of the Divinities ;- Shu. Tem. La, (Ra). Asar, Osa, Asa-te ( Osiris ). Hapi. Nai-ye, ( Nile ). Nu ( Nu-bian ). Seker. Taten. etc. The Ga-Dangme word name "Kpa" ; as name of a Divinity, is in a hidden phonetic (sound) with the word "gba" as "gba-lo" a Preacher and "gba" as fornication and "gba" as in proper marriage. However, the hidden phonetic spelling between "Kpa" and "Gba" maybe questionable to the meaning as "marriage" to the same Ga-Dangme language if the proper phonetic has not been tampered with. Unlike the version of the Ada-Asafo phonetic of the word "kpa", they stand still as "Kpa" meaning as "marriage" or " sexual union to reproduce", "union to produce with", which is the typical description of the Divinity "God Kpa" ( Khepera ). The Ga-Dangmes Ada-Asafo standing firm with the authentic meaning of "Kpa" also confirms the Ancestral legacy of "Kpa" ( Khepera ) of the Ga-Dangmes meaning to the universal God King of creation and reproduction. The Ancient Ancestral Nubians now known as Africans believes that the Sun is the source of all life. With that notion, they focused spiritually on the Sun as the reason of their existence in life as well as anything on or that is related to earth, dead or alive. History tells us that the Nubian or the African believe in material symbolism, which is the reason why the ancient Nubians worshipping was established with either human figure or other material symbol, such as the material-Sun. The Greek title word "Pharaoh" consist of two words, the actual noun "Pha" and "Ra" and with an additional sound "oh" as an appraisal sound of liturgy. The pronunciation of the word "Kpa" which became difficult to the foreign tongue was spelled as "Pha", while "La" ( fire ), the material description of the solar-fire of the Sun also became to the foreign tongue as "Ra". The historical evident of the then "God-Kpa" ( Khepera or Ptah ) elaborates his Attributes as the Universal Sun-God of Fire, solar or heat around or of the Sacred Sun-God "La", now Khepera. The Divinity "LA-KPA" name was literally and phonetically spelled as "Ra-Pha", while the Divinity "KPA" alone was spelled as "PHA" and the Divinity "LA" alone was spelled as "RA". The Royal Title "La-Kpa" was introduced and addressed to every King as the manifestation and attribution to the Divinities "La" and "Kpa" by the pre-Egyptian Nubians. Analogy of "LA-KPA" :- Since dawn, the Divinity named "La-Kpa" has been addressed to the Solar-Energy as the Divinity of the Sun, by the Ancient Nubians of pre-Egypt and neighborhood countries. "La" authentic pronunciation was deteriorated from a foreign tongue to the spelling as "Ra" and the master Divinity "Kpa", the father of all the Divinities, the life producer, was also addressed with multiple manipulated phonetics in foreign tongues with the spellings as : Khepera, Ptah, Khepri, Khepra-ta & Pha, etc. The title Divinity "La" (Ra) is the counter part of the Divinity "Kpa" (Ptah /Khepera) which fully unites to the divinity name address as "La-Kpa", based on their characteristics in nature ; "La" the Sun divinity as the source of all life and "Kpa", the divinity of reproduction and life organizer. The part legacy of the Ancient Royal title "La-Kpa" & its spiritual practices is now within Ghana's Ga-Dangmes La-Asafo, as their Royal Spiritual Root. Below are few Redeemer kings & spiritual leaders of many like that, who were authentically ( "Wulomei" = Redeemers, to the "La-Kpa" ) / ( "Wulomo" singular ) who were each addressed with the Royal title as "La-Kpa wulomo" to the historical Principal Prime God "La-Kpa", known by the Ancient Nubians of the pre-Egyptians and the territories as "La-Kpa". Later, they were incorrectly addressed in history as ( Pha-Ra-O ) Pharaoh. ( PHA-RA-OH ) LA-KPA WULOMO ADZEI / ADZA / ADJEI /AJYEI ( HERU / HORUS, SON OF OSA ( MENSA ). NUBIAN ROYAL: PRE-EGYPT.
" LA-KPA " WULOMO. 1989 THROUGH 1991 PLUS ?. NII-ODOI OWOSO. 5TH. LA-ASAFO GA-DANGME, GHANA. ( PHA-RA-OH ) "LA-KPA WULOMO KA-FLAH" KHAFRA, STATUE. ( PHA-RA-OH ) LA-KPA WULOMO ; TUTU-ANKA AMON. STATUE. 14th. CENTURY B.C. OF THE 18th. Dynasty. ( PHA-RA-OH ) LA-KPA WULOMO AKENTEN-I, (AKHENATEN-I) "KA-TE". 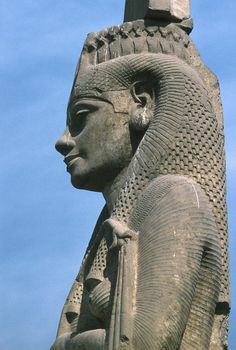 WAS AMON-Hotep-IV. 1375 -1357 B.C. ( SON OF AMON-HOTEP-III. 1411-1375 B.C. ). A NUBIAN AND THE RELATIVE ROYAL LINEAGE UNCLE OR STEP BROTHER OF KING/WULOMO "TUTU-AKA-AMON". A STATUE IMAGE. NUBIAN PLAINS, NORTH EAST-AFRICA.
" LA-KPA " WULOMO. NUMO YEMOTE-ODOI. II. LA-ASAFO GA-DANGME, GHANA.
" LA-KPA " WULOMO. NII-YEMO OBRON. VI. ( PRESENT AND ACTIVE. ) LA-ASAFO GA-DANGME, GHANA. "( PHA-RA-OH ) LA-KPA WULOMO-AKUFU" STATUE IMAGE, 4TH. DYNASTY AND 2ND WULOMO. HIS NAME WAS CORRUPTED BY THE GREEK TO (CHEOPS). 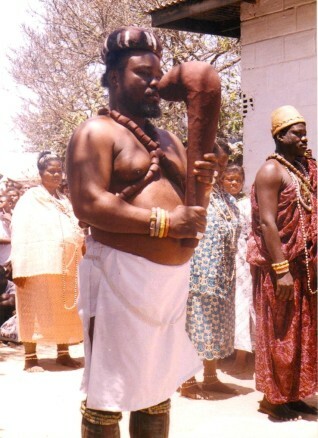 "WULOMO-AKUFU" WAS THE FATHER OF THE "DIVINITY WULOMO-KAFRA". KAFRA'S NAME WAS ALSO CORRUPTED BY THE GREEK TO ( HERODOTUS ). THE AKWAMUS AND THE AKROPONGS LINK. THE VICE LA-KPA WULOMO ; OSA-BU ( OSABU ). " THE OSA'S JUDGMENT ", DANCING THE KPA 2005, WITH THE THEN AFIEYIE ASASI -AFIA. ( ISIS ). DURING THE HARVESTING, THE FASTING & THE NEW YEAR'S FESTIVAL, THE HOMOWO / HOMOWOO FESTIVAL . 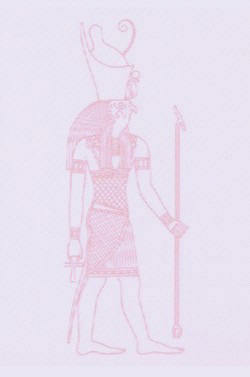 "OSABU" IS THE LATEST PRESERVED OSA'S ( OSIRIS ) MIDDLE KINGDOM DOCTRINE. THE LA-ASAFO GA-DANGME, GHANA. ( PHA-RA-OH ) LA-KPA WULOMO ADZEI / ADZA/ ( HERU / HORUS ) SON OF OSA. NUBIAN ROYAL: PRE-EGYPT. ( PHA-RA-OH ) LA-KPA WULOMO HATSHEPSUP. The woman behind the image male-mask of her late husband, for her husband. Dynasty-18, c. 1490 - 1470 BCE. THE OLD KINGDOM, TERRITORY OF KHUFU. 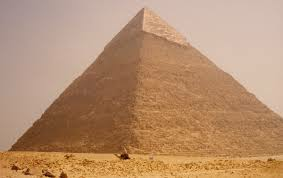 PYRAMID AUTHENTIC AND CORRECT NAME IS "OTUTU" , OF THE DIVINITY LA-KPA WULOMO-AKUFU. ( NUBIAN PLAINS NORTH EAST-AFRICA ). 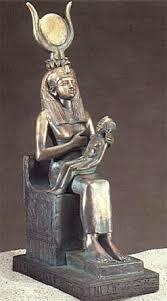 NFETETE ( NEFFETITI ) WIFE OF ( PHA-RA-OH ) LA-KPA AKENTEN ( AKHENATEN )NUBIAN PLAINS NORTH EAST-AFRICA. AWO NAA-EDE (ADE OF CREATION) OF THE DIVINITY NAA-YOOMO AND THE FIRST - ELDEST SPIRITUAL WIFE OF THE DIVINITY OF CREATION ; THE LA-KPA. ( KHEPERA ) NOW OF THE GA-DANGMES, LA-ASAFO. GHANA. THE DIVINITY "NAA-KOOLO" ; "AHUN"
ANKANSENAMON. STATUE. 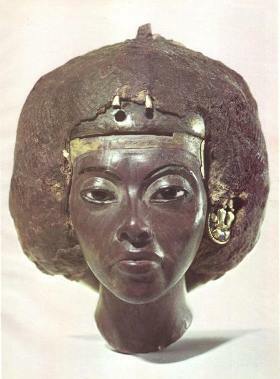 WIFE OF THE LATE LA-KPA WULOMO "TUTU-ANKAMA" AND THE DAUGHTER OF AKENATEN-I ( AKEN-TEN ) THE "AMON-HOTEP IV". WHO HIGH JACKED THE THRONE AFTER THE DEATH OF TUTU-ANKAMA TO A NON-ROYAL AND NON-DIVINITY LINAGE. DURING THE 14TH. CENTURY B.C. AFTER THE 18TH. DYNASTY. "ASAMAN" :- THE GA-DANGME ANCIENT ANCESTRAL NUBIAN WORD, USED FOR THE OSA-AMON SPIRITUAL WORDS & ALPHABET SYMBOLS OF THE NUBIAN "ANI", THE "TUTU-ANI", THE SCRIBE ANI, NOW WITH THE FOREIGN GREEK WORD "HIEROGLYPHIC", MEANING ; SACRED WRITING. 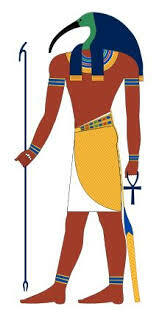 THE NAME "ASAMAN" WAS DERIVED FROM THE ONCE GOD-KING "OSA " ( MENSA) = ( OSIRIS ) & GOD-KING ( AMON ) = "AMEN-HOTEP", WHEN UNIFIED, BECOMES "ASA-MAN" ( ASAMAN ). 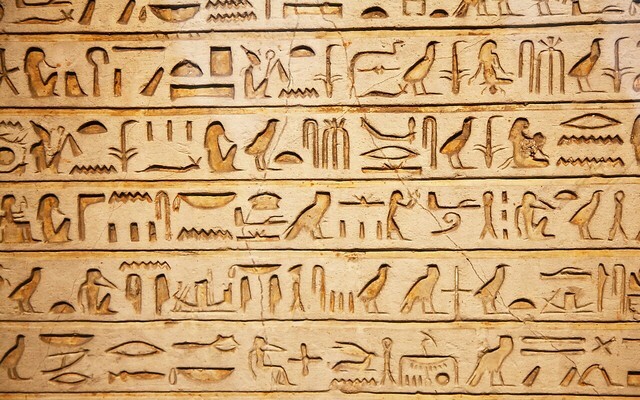 THE EARLY WRITINGS OF THE "ASAMAN" ( HIEROGLYPHICS ) THAT REACHED THE SHORES BEFORE BOTH THE THEN GUINEA WEST AFRICA COAST AND THE THEN WEST AFRICA GOLD COAST TERRITORIES WAS BEFORE THE 10TH. TO THE 19TH. CENTURY AND WAS BEING USED BY SEA FISHERMEN ON THEIR SEA FISHING CANOES, ALONG THE WEST AFRICA COASTAL. ALSO WITNESSED BY THE AUTHOR OF THIS ARTICLE, SPECIFICALLY DURING THE MIDDLE OF THE YEAR 1900. HIM BEING A GRAND SON OF A FISHERMAN FROM THE AREA. (2) Phoenicia language ; North-Semitic language 11-B.C. (3) The Hebrew language introduced 10th. century BCE. (4) Arabic language 7th. century spoken areas then, Middle-East, North-Africa mainly. (5) The Aramic language 5th. century BCE. (6) European languages, present and active. Most Nubians and Nubian descendants anywhere in the world now speaks more foreign languages, especially in the historical north-east Africa areas include the Middle-East historical areas. In this case, if you do not speak and do not understand any of the Ancient Authentic Nubian/African languages mostly spoken in sub-Sahara territories, the researcher will not fully know the authentic names or proper phonetics to correct spellings to justify accuracy in some related history facts related to pre-Egypt and territories. My observation about a Language and communication is that ;- "Authentic Language is the key to Authentic and Accurate History Information". The Divinity Khepera’s roots was originally from the now SUDAN and CHAD territories, where the practices of the Divine Khepera’s doctrine was general among the Nubians then in the north east Nubia, now called north east Africa and it territories;- Sudan, Ethiopia, Somalia, Kenya, Chad, and Egypt, etc. and the Middle East, NOT CALLED THE MIDDLE EAST then. 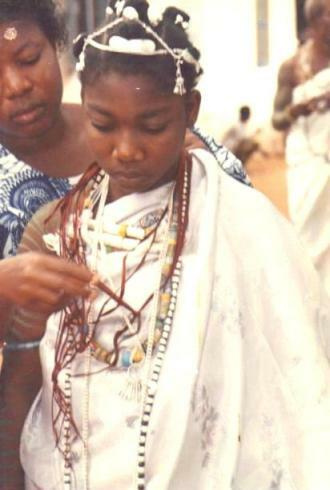 Though most of the Nubians relocated to the present countries on the continent now called Africa and to south west of Indian, they (Nubians) still practices the “Kpa’s” doctrine which the Greek called “Khepera or Khepra”, a legacy before the 4th and the 5th Dynasty of the Nubian Empires, B.C. The name; - Khepera, Khepra or Khepra-ta, which is actually call “Kpa”, is not a name of a beetle, rather, it is part of the Supreme Divine Creator name, he was another part of "NU" the primeval celestial waters . KPA "KHEPERA" created life by “WORD OF COMMAND”, which make him the father of all divinities and all things, since “KPA” (KHEPERA) played part of "LA" (The Divine Fire’s) creation, the Greek “RA”, KPA (KHEPERA) became part of “HUNU” the “SUN”, the source of all life. During the dynasty of “OSA” or “OSEI” the Greek “OSIRIS” and the dynasty of “KYE” or “ADZEI” the Greek “HERU” ( JERU ) or “HORUS”, they chose the spiritual format of “NU” of the “NUBII” “NUBIANS” as the first origin of creation, the Greek and the Arab “NUTEM” and “NETERU”. “TE” or “TETTEY” the Greek and the Arab “TEM” and “TEMU” as second creation and the spirit of “NU” and "KPA". The third creation was “LA” (divine fire), the Greek and the Arab “RA”, who became the protector and the heaven's gate to "NU", "KPA" and "TE". Though OSA’S Dynasty chose “HUNU” the (SUN) as their symbol of the Supreme Divine, they did not overwhelmingly honor “KPA” (KHEPERA), the part of “NU” who created all things as the head to be worship. Rather, the "OSA" Dynasty was caught in the circle of Monarchy next of king authority, which could have ended the old pattern's Doctrine, if "OSA'S" Monarchy were permanently followed by the ancient NUBIANS. Viewing “Kpa” the Greek “Khepera” from its legacy practices up till now, it will be a disadvantage to the OSA (OSIRIS) and ADZEI’S (HERU) dynasty for they were of a royal setup dynasty, while the old spiritual practices were of “KU” (Body-Spirit of Clans) royal setup of a Nation or a sub-Nations, where each clan has its own head as “OSA” (ASAFOATSE) the Greek “OSIRIS”. This old spiritual setup could have become unique with the "OSA'S" Dynasty by having the “KPA” (KHEPERA) as the spiritual head of all the divinities with the title “ASAFOATSE “ to the (OSA'S) Doctrine (the Greek OSIRIS), but then this can create jealousy among siblings within the royal family if the power sharing old set up is not being practice. The spiritual format of “KPA” (KHEPERA) practices is alive and being practice now among the “GA-ADANGBES” of Ghana. 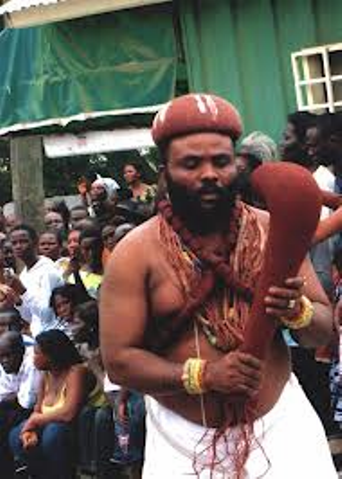 Typically one of the sub-Nations of the GA-ADANGBES; - the “LA People” (Divine fire People) have maintained the “KPA” (KHEPERA) practices as a legacy. They have the Divine “NU”or "NUU" the Greek “NUTEM or “NETERU” as a name description to them, mostly address to the male and sometimes to the female, and use also as a description for water, while every first born male and female have the option to carry the title; “TE”, "TELEY", "OTEY", “ATTEY” and "TETTEY", the Greek “TEM” or “TEMERU”. The necessity of “KPA” (KHEPERA) spiritual format drove them to name their sub-Nation after “LA” (The Divine Fire) the Greek “RA”. To be justified, the La People sealed themselves spiritually. As a Legacy, they settled the "Divinity-KPA" through the doctrine of "KPA" (The Divine Testimony) at their new location. 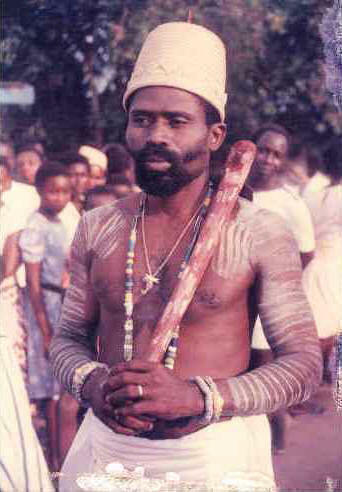 The "Divinity-Kpa" is being represented by "WULOMO", (a specially enthrone "Oracle"), purposely as the Divine communicator and Redeemer for the "Divine-KPA" and the "La-Asafo" people. This positioned their "WULOMO" in an image of the "Divinity-Kpa". The Ga-Adangbes sing "ASAFO" war songs in the name of "OSA" (Osiris). They sing joy (Celebration) "ASAFO" songs in the name of "OSA" (Osiris). They sing "ASAFO" songs in the name of "OSA" (Osiris) during enthrone of a King, a Queen or an Oracle, and they sing "ASAFO" songs in the name of "OSA" (Osiris) during funeral and burial ceremony of a King , Queen or an Oracle (WULOMO) etc. Like a shadow of a body under the sun, so are the names like TUTU-ANI, ANKAMA, TETTEH-ANKAMA, OTU-TE, ANU-N-TE, AKUFO, AKAI, SHAMO, TSHAWAY, and ANNETEY and many more of the GA-ADANGBE names of their ancient NUBIAN ancestors like; - TUTU-ANKAMAN, ANU, TUTU-ANI, AMON, and KUFU, etc. 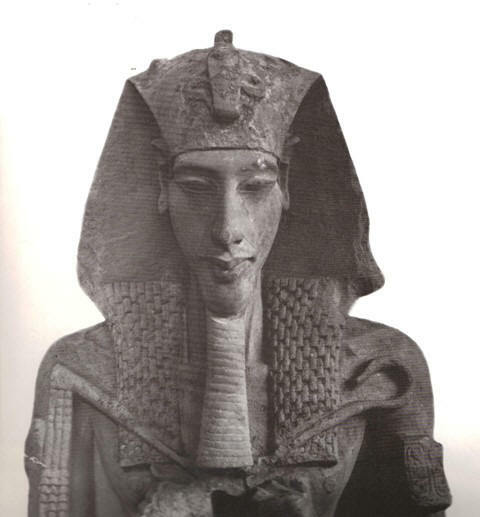 Unlike “Akhenaten” who dishonored his Ancestors when he performed iconoclastic (image destroyer) on his ancestors, he is not too popular with the “GA-ADANGBES”. 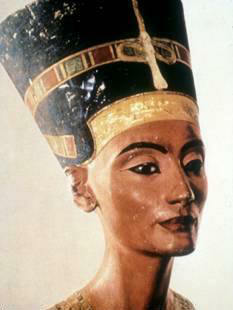 Yet “AKHENATEN’S” name without consonants reflects to once a spiritual King (OTI-AKENTEN) of the AKAN-NATION of Ghana. However, the GA-ADANDBES, the AKANS and many more believe in the Supreme Divine Creator of the Universe as well as their Ancestors, for they are primogenitor of “KPA” (KHEPERA). “NU” (NUTEM/NETERU). 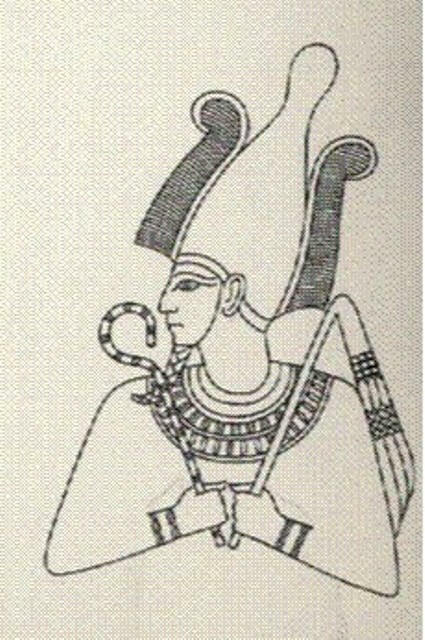 “OSA”, ”OSEI” (OSIRIS). “TE”, "TETTEY" (TEM/TEMERU). “KYE”, ”DZE” “ADZEI” “TSE” (JE, JERU, HERU, HORUS). “ESSIE”, “ASI” (ISIS). “AMMON/AMEN/AMENON” (AMON/AMMON/AMEN). “TUTU”, (TUTU). “ANI”, (ANI). ETC. "KPA" (Khepera) is self planted within the core of "HU-NU" the SUN, it is not born, it is not dead. It becomes a Legacy to the Ga-Adangbes when they reincarnate, to remember and to practice the Doctrine of "KPA" through "OSA", the spirit soul of "NU";- NUMO or NYUMO. MY RESEARCH RESULTS OF THE WORD "HIEROGLYPHIC" OF THE GREEK AND THE WORD "KPA" OF THE GA-ADANGBES: THE WORD "HIEROGLYPHIC" IS A GREEK DESCRIPTION TO THE ANCIENT NUBIAN WORD "KPA", THE "DIVINE-KPA". AN ORIGINAL NAME WHICH MEANS "DIVINE TESTIMONY" OR "TESTIMONIAL DIVINE TRANSCRIPTS". A HOLY WORD WHICH THE GREEK COULD NOT MAKE ANYTHING OUT OF, THEY (THE GREEK) LATER TRANSLATED AND SPELLED "KPA" AS " KHEPERA" OR "KHEPRA", AND IN SOME CASES SPELLED "KPA" AS "PTHA" . THE GREEK COULD NOT GET ALL THE HISTORY OF THE NUBIANS CORRECT, BECAUSE THE NUBIAN LANGUAGES ARE NOT OF THEIR TONGUE. THE WORD "KPA" CAN BE FOUND IN THE SO-CALLED WEST AFRICA TERRITORIES, SPECIFICALLY AMONG THE GA-ADAGBES OF THE PRESENT GHANA AND NIGERIA. THE GA-ADAGBES HAVE LONG KNOWN ABOUT THE DIVINE "KPA" WRITING AND READING, OF THE SO-CALLED HIEROGLYPHIC. THEY HAVE WRITTEN THE "KPA" WRITINGS ON THEIR FISHING CANOES, AND COMMON SENSE TELLS US, THAT ONE CAN SPEAK WHAT HE OR SHE WRITES AND READS, AS THEY DID ON THEIR FISHING CANOES. THE GA-ADAGBES NAMED THE HOLY BIBLE; "KPA-MO MOMO" TO THE " BIBLE OLD TESTAMENT", AND "KPA-MO HEE" TO THE "BIBLE NEW TESTAMENT". THEY ALSO NAMED THE MYSTERIOUS "COVENANT" ; "KPA-MO ADEKA" LITERALLY MEANING "TESTIMONIAL HOLY BOX". THE HOLY WORD "KPA" WHICH THE GA-ADANGBES INHERITED FROM THEIR ANCESTRAL NUBIANS, EXISTED BEFORE THE OUTSIDERS INTRODUCED ANY FOREIGN RELIGIOUS PRACTICES TO THEM AND THEIR SISTER NATIONS. THE WORD "KPA" WAS BORROWED TO THE FOREIGNERS RELIGIOUS REFLECTIONS. The Ancient Nubians and the presently deep cultured Nubians of the so-called Africans with an Ancient Nubian Doctrine normally did not leave a royal or a spiritual position unattended or un inherited. It is against their moral and their spiritual doctrine. The Ancient Nubians practiced a spiritual format which represented the complete Human anatomy and the celestial bodies, and was represented by enthrone Oracle-Spiritualist of each different dynasty without tampering with that legacy doctrine. Most of the people who held such positions were known only by their throne title names, while most of their birth names vanishes. A typical spiritual system of both the Ga-Adangbes and the Akans of Ghana, Yurobas of Nigeria and the Housa speaking Nations on the continent of the Nubians, etc. 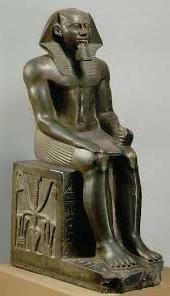 The so-called word "Ptah", another Greek corrupted name of "KPA", the ancient original Divinity, before 7000BC who was the; Divinity of creations, head of all the Divinities, Knowledge of all kinds, resurrector of the dead, creator of life and a writer, etc. was the Divinity "Kpa" or (Kpah). He also represent in a human symbol form as shown in the background of this article, with the same description and qualifications, and sometimes appears in a human symbol form with the Beetle as the head. The different symbols represents different doctrine occasions as a spiritual rule. Note: The back shell of the Beetle as smooth, hard and round symbolizes the human form head, and the Eagle wings also on the Dung Beetle is wrapped around the human form symbol, both representing the "Divinity-Kpa". THE DUNG BEETLE AS SYMBOL OF THE "DIVINE-KPA"
THE PRIMEVAL SPIRITUAL INCORPORATED SYMBOLS OF "NU" (OF THE PRIMEVAL CELESTIAL WATERS), OF "KPA" (KHEPRA) OF THE DUNG BEETLE AND OF A HUMAN SYMBOL, OF "TE" (TEM) THE FIRST CREATION AND SPIRIT OF "NU", OF "LA" (THE GREEK "RA") THE SPIRIT-FIRE WARRIOR AND THE PROTECTOR OF THE HEAVEN GATE, AND OF OCCASIONAL IMAGE OF "OSA"(THE GREEK OSIRIS) THE TRINITY AND THE SPIRIT SOUL OF "NU" (NUMO) OF THE ANCIENT NUBIANS etc. 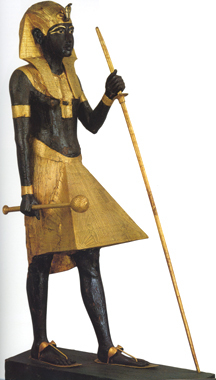 THE ANCIENT NUBIAN DIVINITY "KPA" IN HUMAN REPRESENTATION WAS THE LEGACY FOR "TUTU-ANI" (KNOWN AS THE PAPYRUS OF "ANI"), "TUTU" WAS THE GREEK "THOTH" AND THE GREEK DESCRIPTION "IMHOTEP" OF; I'AM PEACE or HOLY. THE WORD "IMHOTEP" IS IN ILLUSION MODE UP TILL NOW. 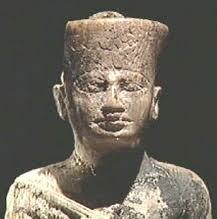 IMHOTEP IS A CORRUPTED WORD OF THE NAME AMEN or AMON the HOTEP (AMON the PEACE). THE WORD "HOTEP" IS A TYPICAL TONGUE OF THE GREEK AND NOT A TONGUE OF THE ANCIENT NUBIANS. 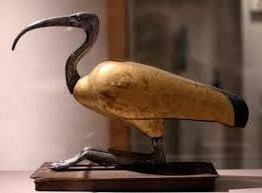 THE IBIS BIRD HEAD ON A HUMAN BODY WAS BASICALLY FOR THE SCRIBE OF THE "DIVINE-KPA" (WRITER OF THE HOLY TESTIMONIAL SYMBOL-WORDS OF CREATION " HIEROGLYPHS " ) AND THE IBIS BIRD SYMBOLIZES THE WRITTEN SYMBOLS OF THE KPA TESTIMONIES. IN ESSENCE, THE SPIRIT SOUL OF "ANI" THE HUMAN "TUTU-ANI" WHICH HE INHERITED AS A LEGACY FROM THE DIVINITY "KPA" ( THE UNLAWFULLY & IMMORALLY ACCLAIMED AS KHEPERA, PTAH OR KHEPRA-TA OF THE GREEK ) WAS THE HUMAN FORM, AND THE EAGLE AS HIS SYMBOL. 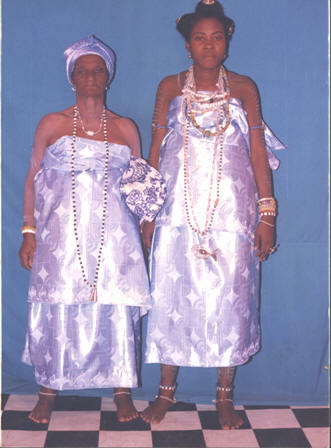 THE EAGLE FEMALE FORM IS REPRESENTED BY THE WIFE OF THE LA-ASAFO LA-KPA-WULOMO OF THE GA-ADANGBES UP TILL KNOW. THE DUNG BEETLE WAS EARLIER HONORED AND DECORATED WITH THE POWER AND THE WINGS OF THE EAGLE. THE EAGLE/WINGS HAS BEEN A SPIRITUAL HONORING UNIFORM AS A SYMBOL FOR THE ANCIENT NUBIANS HIGHER AND HIGHLY INCLINE SPIRITUAL ORACLES. THE DIVINITY NAME "KPA" WAS CORRUPTED BY THE GREEK WITH THE WORDS "PTAH" AND "KHEPRA OR KHEPERA". THIS IS AN ONGOING RESEARCH PROJECT. TO BE CONTINUE.